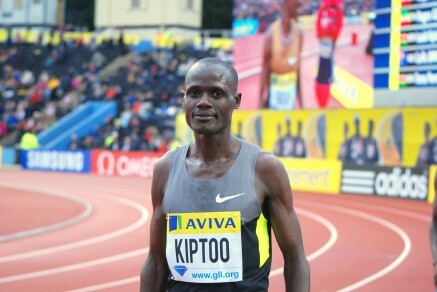 11th October 2015 – Once more Mark Kiptoo (KEN) proved that age is no barrier as the 39 year old ran a marathon personal best of 2:06:00 while taking third place at the Eindhoven Marathon. Having placed second at the Rotterdam Marathon earlier in the year Mark returned to the Netherlands and gave another strong account of himself. Indeed, it was only within the final mile that the outcome of the race was decided as Mark was just 8 seconds back from the winning time of 2:05:52. This is the third marathon in a row and fourth in five that Mark has finished on the podium. Also on the roads in the Netherlands but over the much shorter distance of 4 miles Tom Lancashire (GBR) finished in eleventh place at the Groningen Road Race. Having had a strong finish to his track season Tom has carried this good form into his winter campaign and timed 18:36.